Learning off-road driving techniques is made possible by the courses BillyGoatGarage® organizes on its own 200-hectare private circuit in Granada. Whether with your own motorcycle or with one of the rental motorcycles we offer, you will learn or improve your knowledge and put it into practice. 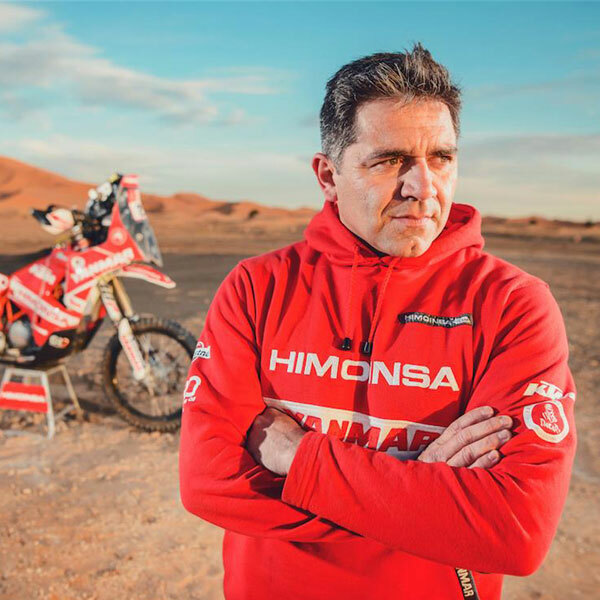 We have instructors, professional riders who have participated in numerous raids and rallies around the world and especially in the Dakar: Gerard Farrés, Miguel Puertas, Jordi Arcaros, Marc Solá, and so on. The best coaches at your disposal. The starting point of the adventure! Considering the best adventure training camp in Europe, 200-hectare training centre with an initiation area and 10km of tracks with all sorts of terrain and practice turns. Located in Loja (Granada) just 30 minutes from the airports of Granada and Malaga and close to the town of Riofrío. Paddock area: previous recreational space for observation and relaxation. Technical Learning Zone: A more limited area where we can practice the first maneuvers. Zona Trail: 15 km of very technical tracks to put into practice the techniques learned in the learning area. 15 km of very technical tracks to put into practice the techniques learned in the learning area.